It's easy to get fed up with the flaky 'Lost Friend' notifications. Many of us just don't want to hear about every single friendship that deteriorates. For those people, I've now created "No Lost Friend Notifications". 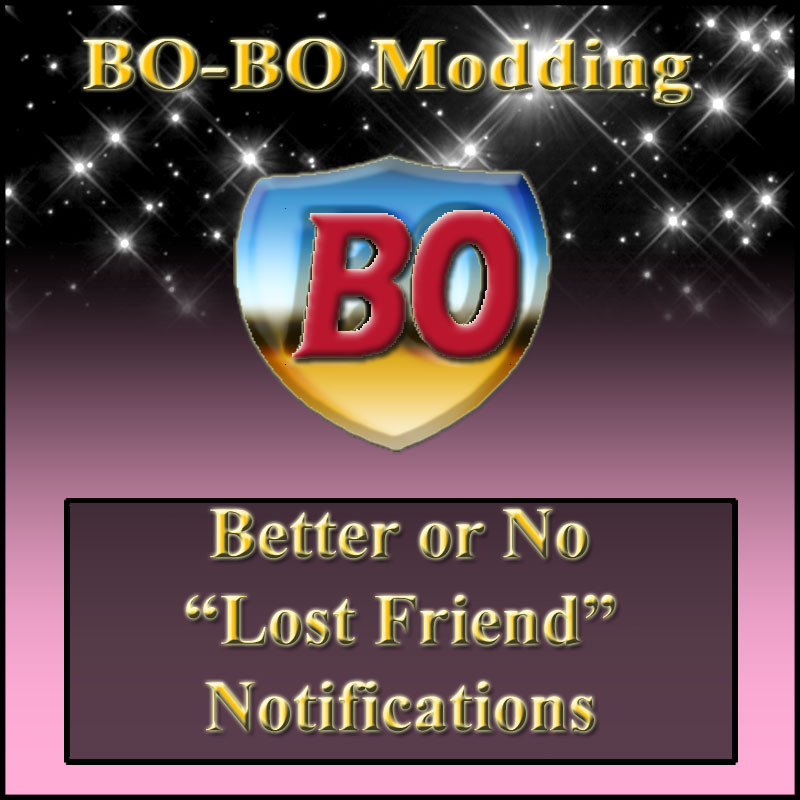 With this mod installed, there will be no further warnings of lost friends or lost Best Friends. And others are sick of "<Sim A> is no longer a family friend. A little interest and contact goes a long way. Maybe it's not too late to repair the relationship and get it back to friend status. ", because it doesn't tell you which sim of the current household was their friend. They would like to know which of their sims should improve their relationships, and that can be hard to find out in a large household where several members have 200 or more acquaintances. For those people, I created "Better Lost Friend Notifications". This mod will replace the stupid text with "<Sim A> is no longer friends with <Sim B>. ", a much better notification which the Maxoids had already built in, but never used! NOTE: These two mods conflict with each other. Do NOT use them together, but pick only one. Update, August 18, 2011: "Better Notifications" is STILL very buggy, and I can't seem to find a way to fix it... I'll keep looking though. "No Notifications" works perfectly, though! Made in response to MaryH's request. Enjoy! How do you do that?!? Read my mind, I mean? I am such a needy person about friendships, TS2 would put me in a panic with those notifications. Bless you, BO. I would give you a big hug but I don't want to chance losing what conviviality we have. So I will restrain myself. That is a handy one for the better notifications.